Commercial planters from The Park Catalog are available in a full range of outdoor and indoor commercial-grade products that can add plants and flowers to any landscape and easily give new life to any location. There are a variety of shapes, sizes and textures to choose from and a wide variety of colors from coral to plum or muted neutrals to accent any area. Select a classic stone look or a contemporary metal design. Worried about theft or high winds - then check out our concrete planters for sale. 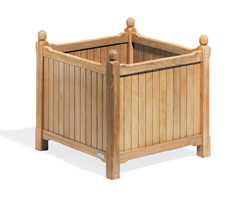 If weight is a concern, choose a commercial planter made of wood, fiberglass or even lightweight stone. 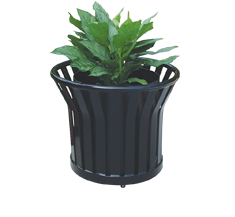 Our attractive recycled plastic planters not only improve your environment, they are great for the environment in general and LEED credits. 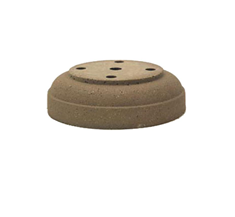 You can also order commercial planters with holes, or without. With some of our products, you can simply add them with a drill. Studies show that green spaces help to elevate a person’s mood and lessen stress. By adding commercial planters to your building inside and outdoors, you create an inviting entryway and place for people to gather. The planters can also serve functionally as barriers for both pedestrian and traffic control. 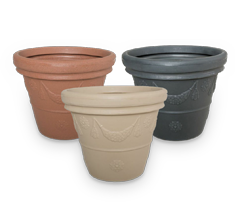 Another consideration for commercial outdoor planters is that these products are made to withstand the elements - sun, rain, freezing. 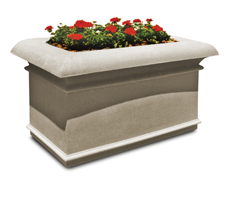 Heavy concrete planters are a smart choice because they are difficult to tip over and prevent theft. 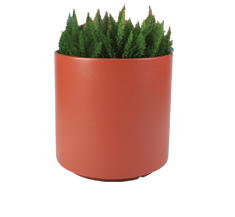 These large concrete planters are perfect for high-traffic shopping centers or office complexes. Using commercial planters is one of the easiest and most effective ways to make a strong first impression for people visiting your facility. 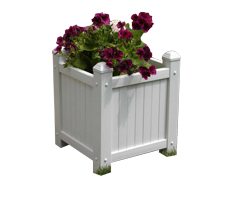 The Park Catalog commercial planters are decorative but also durable, resistant to corrosion and will not fade. Review our vast array of both mid-size and large commercial planters. Our helpful and expert representatives will be glad to assist you with your selection.